One of the quickest ways to make money in the stock market is through M&A. Acquisition premiums are usually in excess of 20%, so if you own stock in a company and that company gets acquired, you could easily make 20% or more in a day. The potential rewards from takeover stocks are compelling. But, the risks are also high, too. You don’t want to invest in stocks simply because they are M&A targets. What happens if the M&A catalysts disappear? Investors focus on the fundamentals, and unless there are strong fundamentals to fall back on, the stocks drop in a big way. Thus, when it comes to playing M&A upside, there is one simple rule. Don’t just invest in M&A targets. Invest in strong stocks to buy that double as M&A targets. What stocks fit that description? 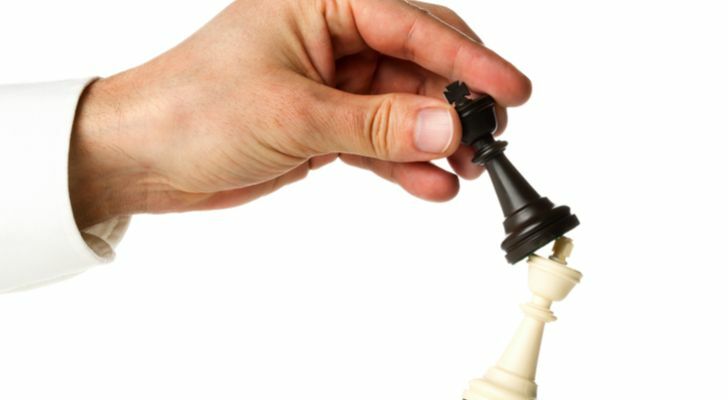 Let’s take a deeper look at four takeover stocks I’ve identified that have both strong fundamentals and potential M&A upside. First up on this list of takeover stocks to buy is a mid-cap biotech company that just made a huge, industry-changing breakthrough. Amarin (NASDAQ:AMRN) is a biotech company that focuses on treating cardiovascular health. Specifically, the company has recently been focused on treating cardiovascular health with fish oil pills. This is a big market. Cardiovascular health is a big problem that is responsible for one out of every three deaths in the U.S. Because the problem is so widespread, biotech companies need an economic solution to address the problem en masse. Insert fish oil pills. But, no one has really been able to crack the fish oil code, as there haven’t been any clinical trials or studies to conclusively prove that fish oil is good for cardiovascular health. Amarin appears to have cracked the fish oil code with its fish oil pill, Vascepa. Recent results from an 8,000-plus patient study showed that Vascepa reduced the risk of a cardiovascular event by 25%, and while doing so, maintained the same safety profile as other fish oil pills. In other words, Vascepa solved the fish oil efficacy problem without compromising safety. That is a big deal, and it has been a huge catalyst for AMRN stock. That means doctors and patients worldwide can now use Vascepa as a viable, cost-efficient and patient-convenient treatment for cardiovascular disease. The cardiovascular treatment industry in the U.S. is $500 billion alone. Vascepa projects to be a global solution. Thus, Amarin cracking the fish oil code means this company is tapping into a market that measures in excess of $500 billion. Amarin’s market cap is under $6 billion. 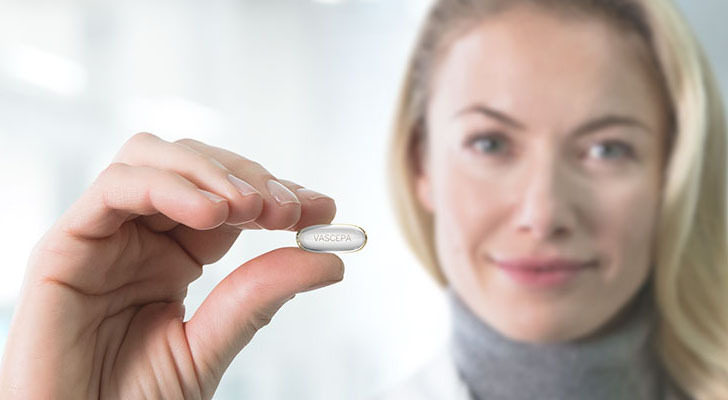 Thus, with such a small market cap, such a huge breakthrough treatment, and such a massive global opportunity, Amarin is an exceptionally attractive M&A target for big biotech companies like Amgen (NASDAQ:AMGN), Regeneron (NASDAQ:REGN) and Sanofi (NYSE:SNY). I fully expect a buyout to materialize soon, and even if it doesn’t, Amarin stock still has a lot of firepower from Vascepa to head higher. Second on this list is a mid-cap grocer that finds itself in the midst of a rapidly consolidating retail market. 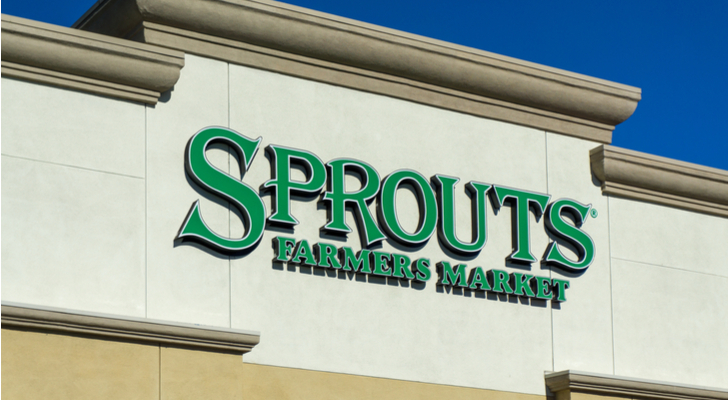 We all know Sprouts Farmers Market (NASDAQ:SFM). It is one of three major grocers in the United States, alongside Kroger (NYSE:KR) and Whole Foods. Whole Foods got acquired last year amid what has been a big push from big retail to expand product assortment in order to enhance customer convenience. Naturally, then, both Kroger and Sprouts are M&A targets. Indeed, both companies reportedly had merger talks last year with various suitors. None of those talks materialized into anything serious. But, we are still in the early stages of this retail consolidation trend. The Amazon (NASDAQ:AMZN) threat is only growing, and as it does, the need for retailers to get bigger and better in order to compete with Amazon grows, too. As such, it isn’t that far-fetched to think a big Amazon competitor like Walmart (NYSE:WMT) or Target (NYSE:TGT) will swoop in and gobble up Sprouts. Even without M&A potential, SFM stock is fairly attractive at current levels. Despite rising competitive threats, this company has held its own over the past several years and consistently reported positive comparable sales growth. The valuation is a bit rich at 21X forward earnings for what was just 10% earnings-per-share growth last quarter, but the long-term staying power of SFM is quite compelling. Thus, SFM stock should be stable in a worst-case scenario, and have nice upside through an M&A catalyst in a best-case scenario. Third on this list of strong takeover stocks is a mid-cap entertainment company with content assets that have become extremely valuable in a world dominated by streaming services. Lions Gate (NYSE:LGF) is an entertainment company with several content assets that range from big-screen productions to TV shows to premium programming. The sum of those content assets has become more valuable than ever over the past several years as the streaming wars have ensued. Netflix (NASDAQ:NFLX) started the streaming wars. Now, everyone is in the streaming wars. Disney (NYSE:DIS). AT&T (NYSE:T). Amazon. Hulu. What differentiates these streaming services? Content. Netflix has been able to dominate this industry and separate itself from the competition thanks to a robust slate of original content. Peers have taken notice. Amazon is pumping huge money into original content production. Disney just acquired content assets from Twenty-First Century Fox (NASDAQ:FOX). AT&T just acquired Time Warner (NYSE:TWX). In other words, the streaming wars have become a foot race to see who can get the most content. As this foot race continues, Lions Gate is bound to be acquired given its content assets. Amazon is the most likely suitor. But, not the only one. To anyone who is making a big streaming push, Lion Gate’s content assets are extremely attractive. Consequently, LGF stock is one of the biggest M&A targets for the foreseeable future. Fourth on this list of strong stocks to buy is a mid-cap beverage company that has been consistently stealing share away from the giants of the industry. Sparkling water is the hottest category in the beverage world, and National Beverage (NASDAQ:FIZZ) is the king of sparkling water. 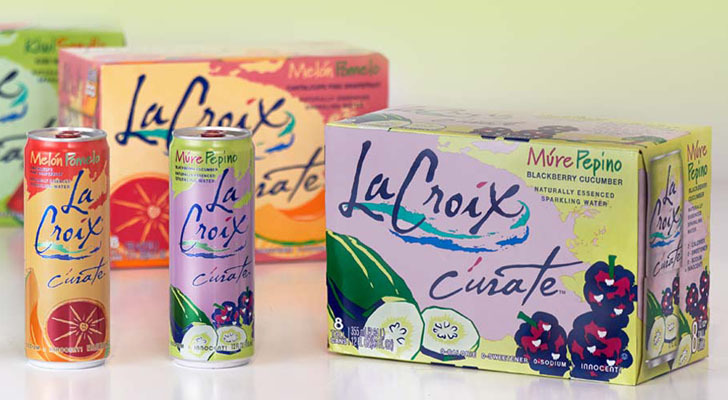 Thanks to its La Croix product line, National Beverage has rode secular tailwinds in the whole sparkling water category to huge gains over the past several years. Specifically, over the past five years, National Beverage revenues have risen by over 50%, while FIZZ stock has rallied over 400%. Big beverage giants haven’t performed so well. Naturally, the logic here is that a PepsiCo (NYSE:PEP) or Coca-Cola (NYSE:KO) would step in and buy National Beverage. They haven’t yet. But, industry trends are pointing toward rapid consolidation in this space. PepsiCo just bought SodaStream (NASDAQ:SODA). Coca-Cola recently bought U.K. coffee chain Costa and French fruit drink maker Tropico. Dr Pepper Snapple and Keurig merged to make Keurig Dr Pepper (NYSE:KDP), and Keurig Dr Pepper just bought CORE Nutrition. In other words, consolidation is rapidly sweeping through the beverage industry, and as it does, it seems to be on a crash course with FIZZ stock. Meanwhile, even without an M&A catalyst, this is a double-digit revenue grower trading at 26X forward earnings. By comparison, PEP and KO are sub-2% growers both trading around 20X forward earnings. From this perspective, one can easily make the argument that FIZZ stock is reasonably undervalued. As of this writing, Luke Lango was long AMRN, KR, AMZN, WMT, LGF, NFLX, DIS and T.
Article printed from InvestorPlace Media, https://investorplace.com/2018/10/4-strong-stocks-double-ma-targets/.